What is Vagabonding? 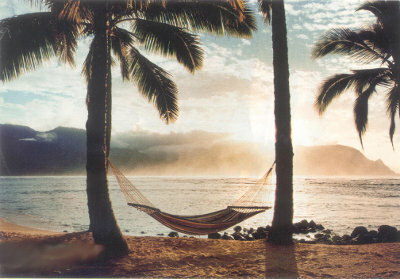 It's relaxing on the beach with the juice of tree-ripened mangos dripping down your chin. It's a laid back day meandering up a mountain, and interesting conversations with people from distant lands. In Vagabonding, travel writer Rolf Potts makes a case of something we get little of these days- leisurely adventures away from home. Instead of rushed one-week binges of frantic sight seeing, expensive resorts, and souvenir shopping, Potts wants us to wander the far corners of the world, learn what it means to unplug, and take our own damn time doing it. If the idea of escaping from the daily grind for three months of travel sounds appealing to you, this book will resonate at some level. During my first read of it in college, Potts's intoxicating views on travel infected me, and I haven't shaken my love of Vagabonding since. So many of us rush though our lives, frantically trying to keep up with our work responsibilities, and rarely take the time to enjoy ourselves. Two weeks of vacation a year isn't enough, and if you put off travel until you retire, you've traded the years when you're most capable of living vicariously for a limited time when you can arguably enjoy it the least. But there are some who work is merely the part of life experienced in between lengthy tours abroad. What if you took a different approach to your life? What if you minimized expenses, realizing that what you spend in a month in the United States or Europe can support you for two or three in a beach-front hut in the Philippines, where fruit can be picked off the trees, and and the ocean is right outside your door? I usually love the work I do (like this site), and I wouldn't want a life devoid of it, but it's my goal to take a long term trip at least once every three years. If I get some work done while I'm away, then all the better. Such trips don't require you be a millionaire, but it probably does demand a lifestyle different from that of most westerners. A willingness to quit your job or negotiate a sabbatical is probably a must as well, and this book helps you get your mind around this un-America idea. Can you be a long-term traveler and maintain your raw food diet? Absolutely. It's actually far easier and cheaper in Asia and India, where you can get fresh fruit year-round, than it in the cold west, where most food is imported. What could be more conducive to a healthy lifestyle. than warm weather, sun, good fruit,and time to appreciate it? Talk about biophilia. If you're ready for a change, and looking for some inspiration and practical advice, I can't recommend Vagabonding enough. 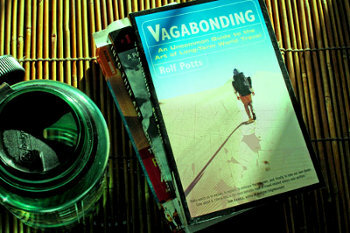 Get Vagabonding: An Uncommon Guide to the Art of Long-Term World Travel, here.